What Are Contact Angle Measurements? Contact angle measurements are used for studying and measuring the wetting properties of liquid on a surface. A small droplet of the liquid is placed on the surface and images of the droplet are acquired with a high-speed camera at up to 3000 frames per sec. 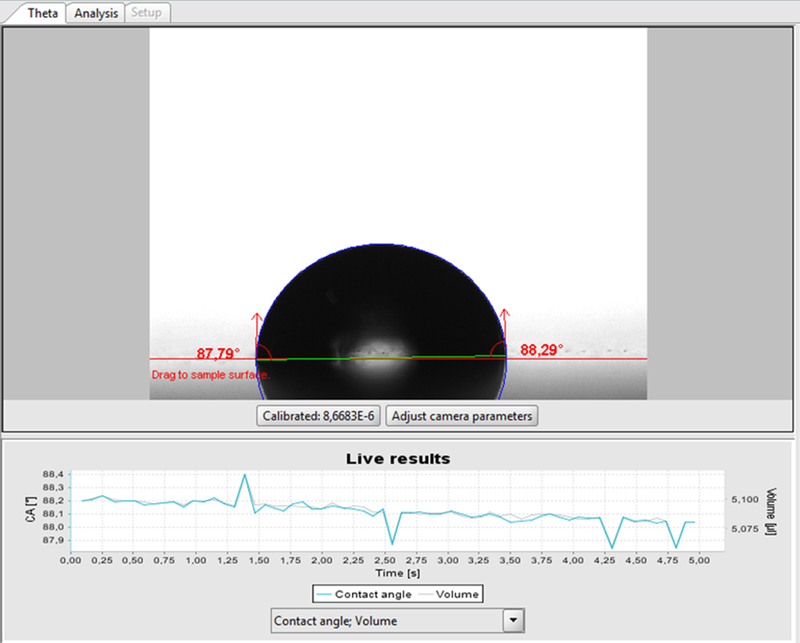 The software analyzes the drop shape and contact angles in real time without operator intervention. Integrated topography measurements allow for roughness-corrected contact angle measurements. These measurements characterize how hydrophobic or hydrophilic a surface is. They characterize liquid repellency of self-cleaning surfaces, such as coated glass, and they give information on wetting states of micro-textured surfaces that exhibit large apparent contact angles. By measuring dynamic contact angles and contact angle hysteresis, the quality of coatings and applied films can be inferred. By using several standard liquids with different properties (such as water, ethylene glycol, and diiodomethane), the surface free energy can be determined, providing a quantitative measure of wetting properties. 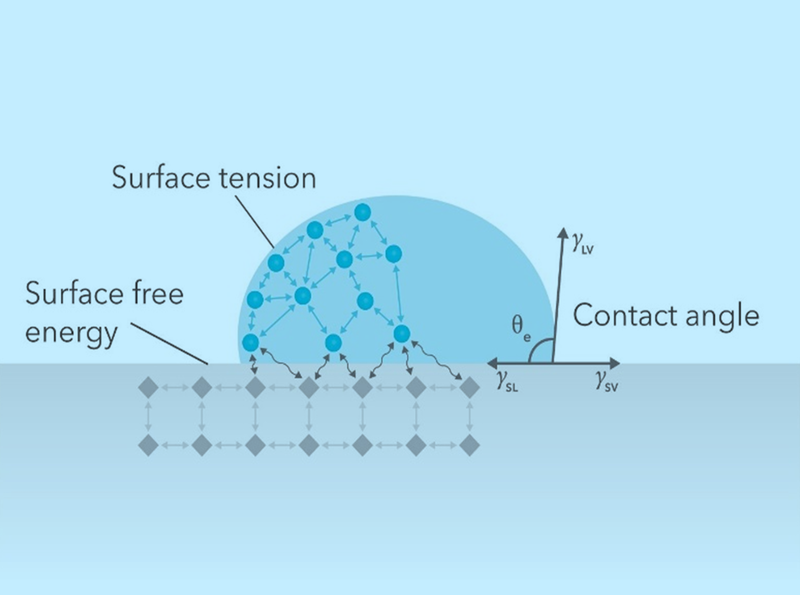 The surface energy is an important measure when analyzing the wettability of a surface or how well a surface repels a liquid. The surface energy of the material will be changed by the chemistry of a coating or adhesive applied during treatment. In powder compounding, understanding the wettability of a solid material helps with the development and quality control of a wide variety of industries, from concrete to pharmaceutics. The coatings applied to powders are designed to improve wettability to disperse the powder into a liquid. 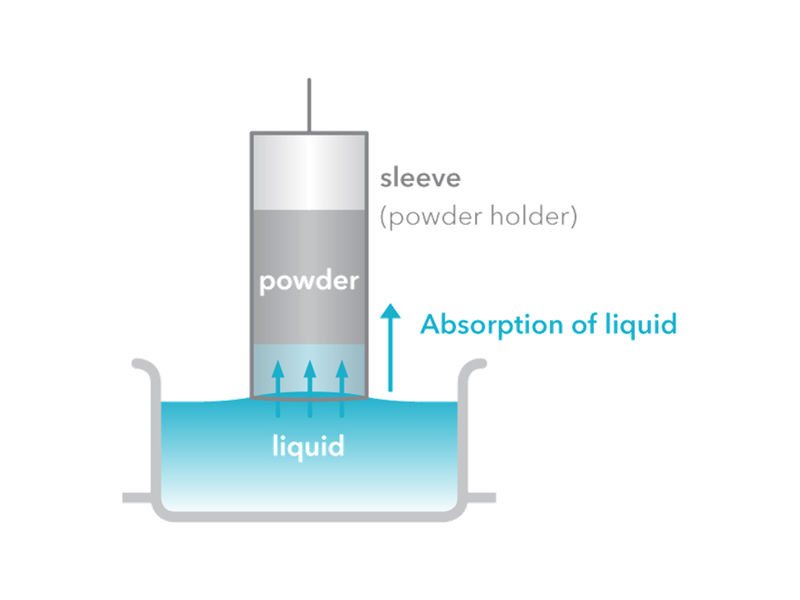 Knowing the wettability of a powdered or dry component has a significant influence on the dissolution rates which influences interactions with other particles during formulation and manufacturing and determine batch cycle time. Questions about Contact Angle Measurement Services? We provide expert guidance for your analytical needs. Contact our scientist who will answer all your questions.